We've heard about people walking on water. What about casually sitting and enjoying a bottle on top of it? They say necessity is the mother of invention, but in this case, we aren't quite sure if this particular need is significant enough to be addressed. 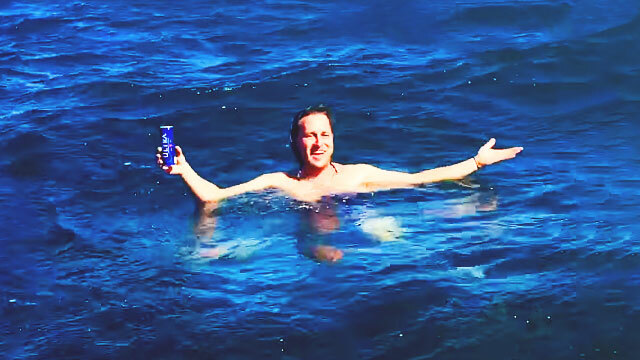 A man, only identified as "Aussie Rob," pulls of possibly the most ingenious move of the year and turns his lifejacket into sort of a swimming diaper...to be able to drink beer in the middle of the ocean.